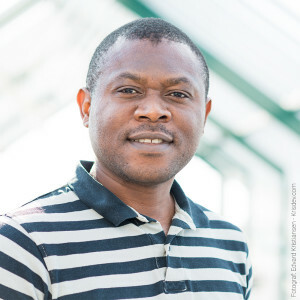 Dr. Arinze Okoli’s research is at the interface of Microbiology, Systems Biology, Biochemistry, Virology, Biosafety Science and Natural Product research. The biomedical fields are interlinked in the research projects due to his aim to understand complex biological mechanisms through studies of microbial (including virus) physiology, genetics and ecology. His approach is whole organism/cell analyses using analytical techniques in Systems Biology, including Proteomics, Transcriptomics, Bioinformatics and Molecular Biology to understand host-microbe & microbe-environment interactions. Dr. Okoli received his PhD in 2009 from the University of New South Wales, Sydney, Australia, where he investigated the molecular basis of Enterohepatic Helicobacter species’ adaptations to hosts and environment. Dr. Okoli also provides scientific advices that assist the Norwegian Ministry of Environment in the safety evaluation of (1) genetically modified vaccines and medicinal products; and (2) genetically modified foods and feeds. Follow this link to GenØks assessment page. Due to strict regulations only the assessments regarding genetically modified foods and feeds will be available for the public. 22. Kunle Okaiyeto, Uchechukwu U. Nwodo, Arinze S. Okoli, Leonard V. Mabinya, Anthony I. Okoh (2016). “Studies on a Bioflocculant Production by Bacillus sp. AEMREG7″, Polish Journal of Environmental Studies, 25(1): 236-245. 21. Okaiyeto K, Mabinya LV, Nwodo UU, Okoli AS and Okoh AI (2016). “Implications for public health demands alternatives to inorganic and synthetic flocculants: Bioflocculants as important candidates”, MicrobiologyOpen. doi: 10.1002/mbo3.334. 19. Kunle Okaiyeto, Uchechukwu U. Nwodo, Arinze S. Okoli, Leonard V. Mabinya and Anthony I. Okoh. (2015). “Evaluation of flocculating performance of a thermostable bioflocculant produced by marine Bacillus sp.”, Env Tech. 37(14), 1829–1842. 17. Okeke, M.I., Okoli, A.S., Nilssen, O., Moens, U., Tryland, M., Bøhn, T., and Traavik, T. (2014). “Molecular characterization and phylogenetics of Fennoscandian cowpox virus isolates based on the p4c and atip genes“. Virology Journal. 2014 Jun 27;11(1):119. doi: 10.1186/1743-422X-11-119. 13. Arinze S. Okoli, M.R. Wilkins, M.J. Raftery and G.L. Mendz. (2010). The Response of H. hepaticus To Bovine Bile. J Proteome Res. 9(3):1374-84. 12. Q. V. Tu, Arinze S. Okoli, Z. Kovach and G. L. Mendz. (2009). Hepatocellular Carcinoma: Prevalence of Helicobacter spp. and Molecular Pathogenesis. Future Microbiol. 4:1283-13301. 11. Arinze S. Okoli, C. Armalle and G.L. Mendz. (2009) The Year in Helicobacter: Other Helicobacter species. Helicobacter. 14 (1): 69-74. 10. Megan Duckworth, Arinze S. Okoli and G.L. Mendz. (2009). Novel Helicobacter pylori therapeutic targets: the unusual suspects. Expert Rev. Anti. Infect. Ther. 7(7): 835-867. 8. Arinze S. Okoli, T. Wadstrom and G.L. Mendz. (2007). Bioinformatic Study of Bile Responses in Campylobacterales. FEMS Immunology & Medical Microbiology 49: 101-103. 7. Arinze S. Okoli, E.M. Fox, M.J. Raftery and G.L. Mendz. (2007). Effects of Helicobacter hepaticus on the proteome of HEp-2 cells. Antonie van Leeuwenhoek. 92: 289-300. 6. C.O. Okoli, P. A. Akah, and Arinze S. Okoli (2007). Potentials of leaves of Aspilia africana (Compositae) in wound care: an experimental evaluation. BMC Complement & Alternative Medicine. 7:24. Doi:10.1186/1472-6882-7-24. 5. Arinze S. Okoli and C.U. Iroegbu (2005). In Vitro Antibacterial Activity of Synclisa Scabrida Whole Root Extracts. African Journal of Biotechnology 4: 946-952. 4. Arinze S. Okoli, and C.U. Iroegbu (2004). Evaluation of Extracts of Anthocleista Djalonensis, Nauclea Latifolia and Uvaria Afzalii for Activity against Bacterial Isolates from cases of Non-Gonococcal Urethritis. Journal of Ethnopharmacology. 92: 135-144. 3. Arinze S. Okoli, M.I. Okeke, C.U. Iroegbu and P.U. Ebo (2002). Antibacterial Activity of Harungana madagasceriensis Leaf Extracts. Phytotherapy Research 15: 1-6. 2. M.I. Okeke, C.U. Iroegbu, E.N. Eze, Arinze S. Okoli (2001). Evaluation of Extracts of the Root of Landolphia owerrience for Antibacterial Activity. Journal of Ethnopharmacology. 78: 119-127. 1. M.I. Okeke, C.U. Iroegbu, C.O. Jideofor, Arinze S. Okoli, and C.O. Esimone (2000). Antimicrobial Activity of Ethanol Extracts of two Indigenous Nigerian Spices. Journal of Herbs, Spices and Medicinal Plants 8: 39-46.